Though Samoa is seen by many as a tropical paradise, the remoteness of the Pacific islands deprives many residents of opportunity. As a result, many Samoans leave their homeland to pursue jobs abroad. Adimaimalaga (Adi) Tafuna’i works to build sustainable economic opportunities for Samoan women and families, to keep Samoans in Samoa. 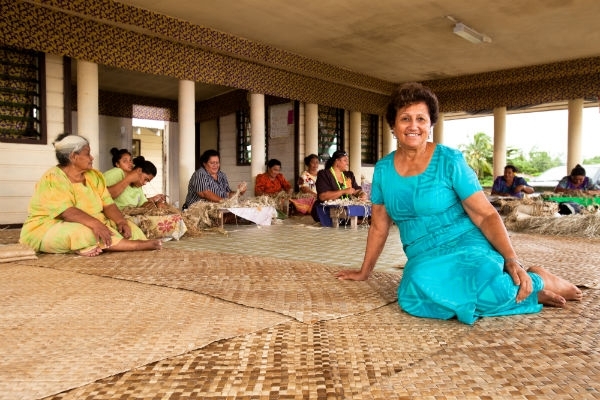 In 1991, Adi established Women in Business Development Inc. (WIBDI) to encourage Samoan women in business. Adi wanted to enable women to earn an income where they live to educate, feed, and care for their families. Thanks to Adi’s efforts, The Body Shop established a partnership with Samoa to disseminate Samoan coconut oil worldwide. And as the market for Samoan exports grows, Adi works with other Pacific nations to help expand their economic growth, too. Recently, I had the opportunity to interview Adi and inquire about her success and her vision. You can read her answers below. Why did you believe that it was important for Samoans to stay in Samoa? The majority of the Pacific Islands are small with small populations. The islands are also isolated, so markets and jobs are scarce or even non-existent. 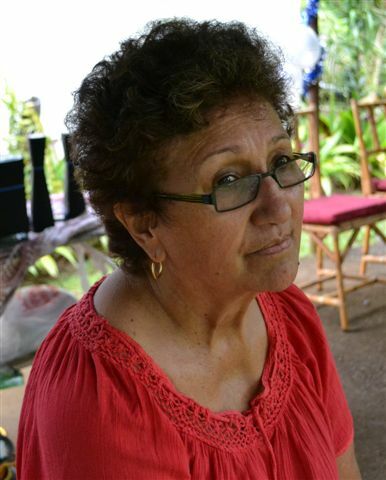 Many Samoans tend to leave for other countries to earn cash and send money back home. For the majority of the island countries, agriculture is the main form of income. In Samoa, people can make a good living from agriculture and fishing, without having to work in a foreign country so far away from their families. Why did you want to get women involved in business? At the time we started, women were not really included in any way with setting up a business, although they did much of the work. One of the women who created the organization with us was divorced from her husband but still needed his signature on bank documents to set up her business. 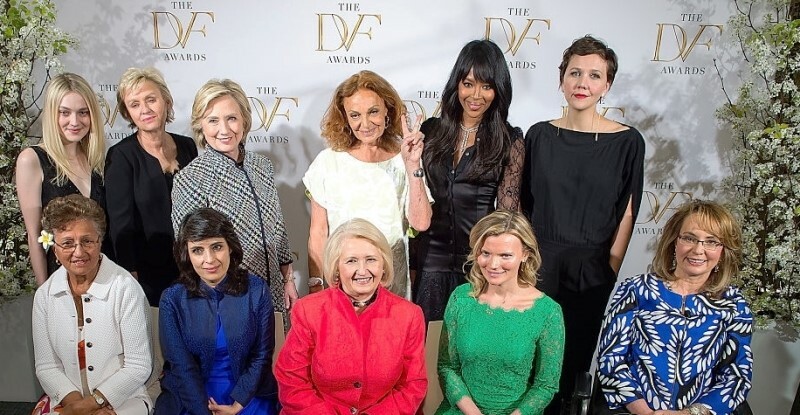 How did you get women involved in business? We began by encouraging women to take their hobbies and talents a little further. Then, we set up market days for them. How did you react when the Samoan taro crop was destroyed? The taro leaf blight was devastating for Samoa. Taro was not only a Samoan staple food but also our main export crop; people who used to earn a weekly cash income were suddently left with nothing. To solve the problem, we began by looking for alternative forms of income generation for them. Why did you think farming was the solution to your problem? Up until the 1990’s, Samoa’s economy was based on agriculture. This deteriorated to the extent that very few agricultural exports (if any) were going out of the country. As a result, we decided to focus on adding value to and finding markets for crops we were growing in abundance. How did you expand the number of participating farms from five to over six hundred? What specific strategies did you use? Once rural farmers and other families had heard about our work, they began asking to join our program. We’ve started visiting villages and finding the most vulnerable families, but our service is so in-demand that we created a waiting list and have been working with one ever since. You mentioned that one challenge you faced was not having a market for your coconut oil before producing the oil. How did you solve this problem? We actually found it very difficult to enter the coconut oil market. However, the Body Shop International needed to find virgin coconut oil for their products, so they travelled around the world looking for a source, and found us! How did you form a partnership with The Body Shop? The Body Shop found out about our virgin coconut oil poduction and sent a buyer out to see how we worked and if our development model would fit with their Community Fair Trade program. We were actually a perfect fit for them, and began the relationship immediately after the first visit by the BSI staff. How do you plan on spreading your success to other Pacific islands and nations? How did it feel to be honored with two global awards? Humbling, especially when I learned about the tragic circumstances so many of the other women have experienced.